Nowadays, the fitness industry has evolved so much that the exercise equipment is actually getting modified from day to day. Another stunning equipment that is prominent in the recent days is nothing but the well famed resistance band. This resistance band allows the people to get totally indulged in some of the most unconventional gym workouts that are well known to possess many of the benefits. 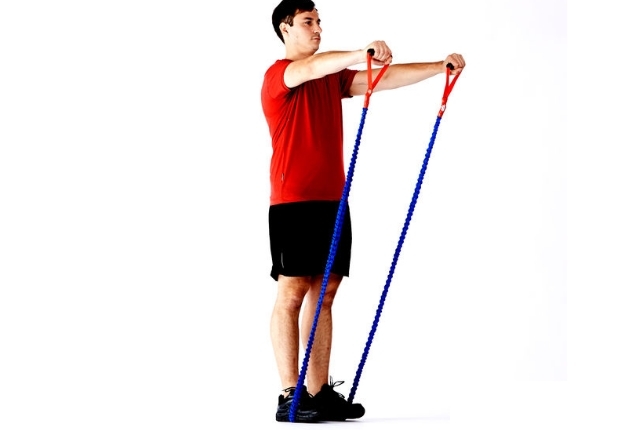 Another important thing about this particular resistance band is that the workouts associated with it need not require a gym at all and you are free to perform these exercises at your home all by yourself. However there’s always one thing that has to be kept in mind before getting to work out with the resistance band and this is the knowledge of practicing these exercises and therefore it is highly recommended by all the individuals to take a note of this article which features some of the stunning workouts that are related with the resistance bands. 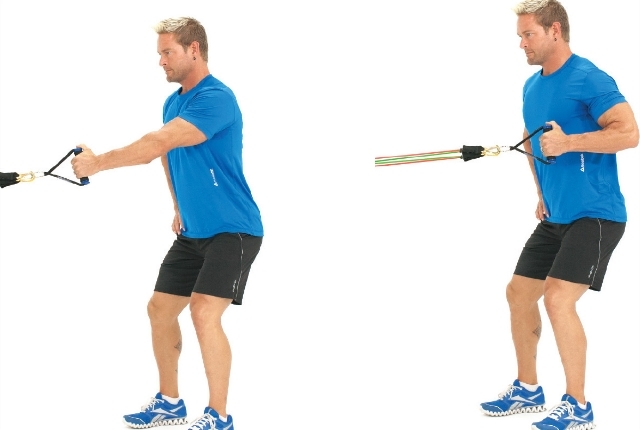 Bicep curls is one stunning exercise that can be accurately and easily performed with the help of a resistance band. This is also known to be one of the easiest exercises of the list and all you need here is nothing but a good quality resistance band. Here all one has to do is to arrest the center of the resistance band with the help of your feet and then grab the two ends of the band with both of your hands and then just move up and down over the hinge joint. The name of the exercise itself suggests the specific reason why we’re actually practicing this exercise. 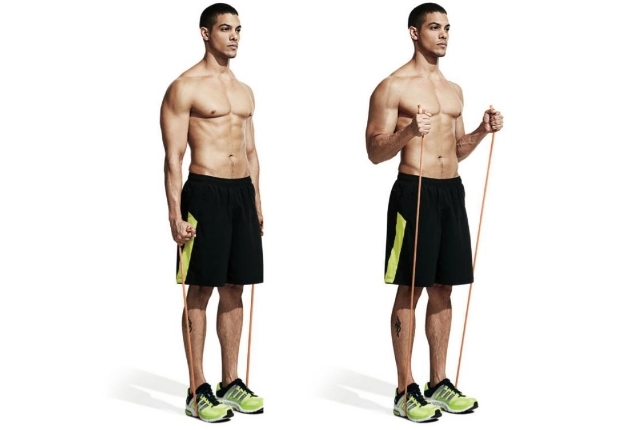 Resistance band exercise is practiced in order to strengthen your biceps and also tone the biceps in a perfect shape. Therefore it is recommended by all the individuals who are a lot willing to strengthen their biceps to include this bicep curl resistance band exercise in their workout routine. The count or the time specification of this exercise varies upon the choice and necessity of a person but the only thing that is advisable here is that you’ve to concentrate on both of your biceps equally and get to tone the biceps in a stunning manner. Another easy exercise that is included in the list and unlike the previous one here, you can grab a chance to increase the overall strength of your arms. 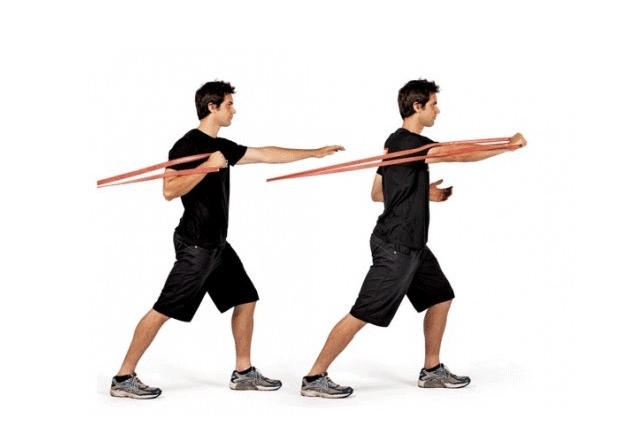 The first step of practicing this exercise is same as the first one where you’ve to arrest the centre of the resistance band and grab the ends with both of your hands. It is the next move that varies a lot and instead of moving to and fro over the hinge joint, in this exercise you’ve to move your resistance band in a way that is quite similar to that of a bird which is flapping its wings. This exercise has numerous benefits on the whole out of which strengthening the shoulders, triceps and hamstrings are few among them. The picture is sole sufficient to depict the method of performing this exercise and and also practicing this exercise regularly can have numerous benefits apart from increasing the strength of your arms. People with some of the joint problems and also some other shoulder pain worries can get to practice this exercise to get relieved from the pain quite quickly. Apart from that the ones who desire a lot in strengthening their body completely can find it a worthy exercise as it can easily be done without burning many of your calories as well. The first step of this exercise is quite common just the the previous two. 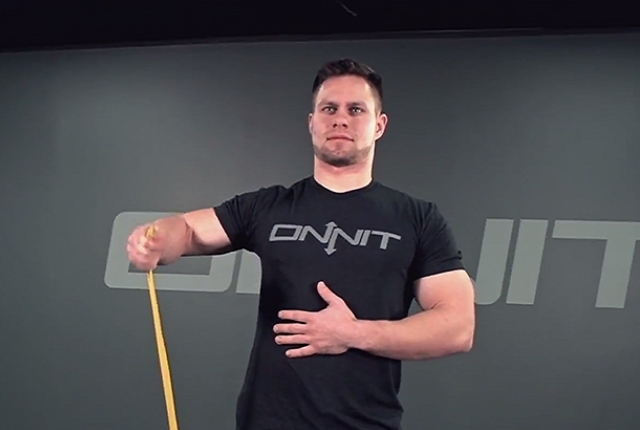 The second step is that grab the ends of the resistance band with both of your hands and align yourself in such a way that your hand is actually horizontal. Then make attempts to move both the hands together up and then bring it back to the normal state. This resistance band exercise is almost similar to that of the previous workout but it involves just a small difference. 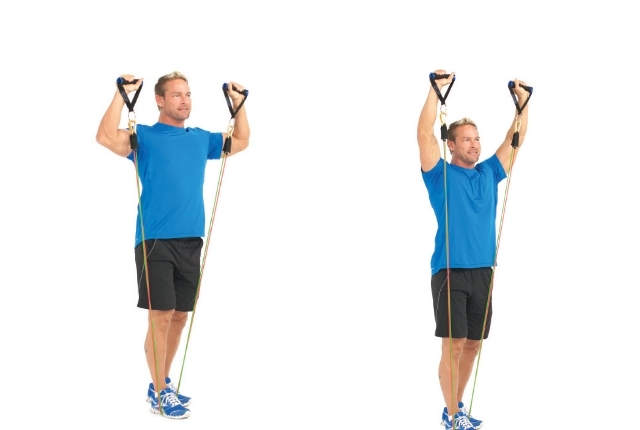 In this resistance band workout, you’ve to move your hands up and down alternatively unlike the previous one where you got to move both of your hands together. One of the best workouts included in the list and unlike the previous ones, the first step also varies. Here all you’ve to do is to hang the resistance band to the wall which is a bit tall than your height. Then grab both the ends of the resistance band and then get to pull it over your chest area. This is one such an exercise that can be highly beneficial to you if you’re actually willing to possess or build some really strong chest on the whole. 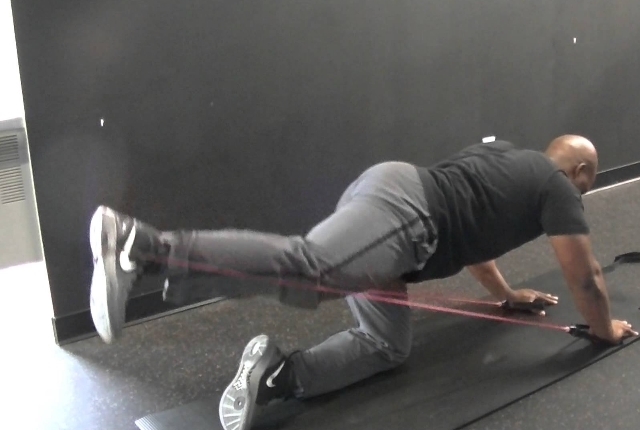 This exercise can be highly helpful in improving the gluten muscle strength and all you’ve to do here is nothing but to put the resistance band on the floor in a way that is parallel to the ground and then get to arrest the part just below one end with your hand. Later grab the other end with one of your feet and then get to extend it along the back without bending the hinge joint of your leg. This exercise can be highly beneficial to the ones whoa re a lot willing in strengthening their gluten muscles on the whole. This workout is quite similar to that of a barbell lifting but the only difference here is that you actually use the ends of your resistance band and the get to lift it in the way equal to that of barbell lifting. The squat workout involving resistance band is something equal to a normal squat but all you’ve to do is nothing but to hold the ends of the resistance band as depicted in the figure. 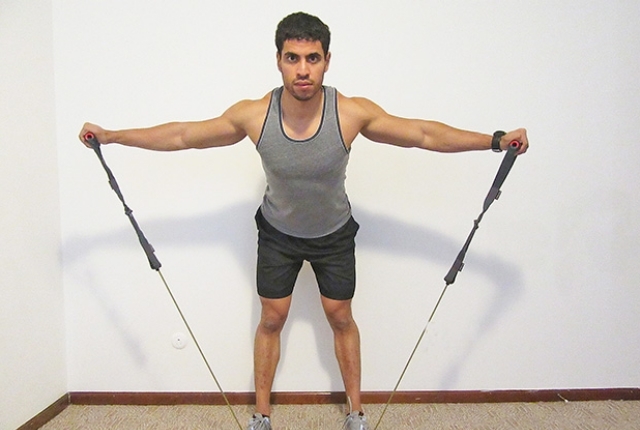 In this exercise you’ve to hand the center of the resistance band to a wall and then get to hold the ends and pull it towards you. I take 100 mg Viagra from ViagraGen.com regularly and it is a wonder. It makes my erection firm and keeps it so for a long time. I also feel sometimes that the erection without Viagra became better.